350 Recipes, Crafts, & Ideas for Your Most Magical Holiday Yet! 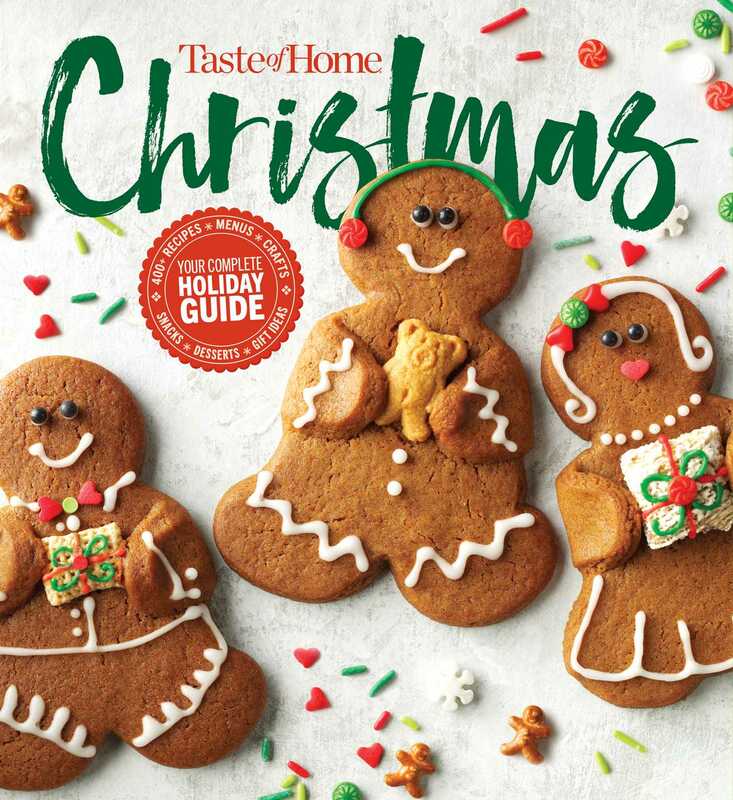 More than 350 recipes, easy crafts, decorating ideas, yuletide hints and kitchen timesavers help you turn homemade holidays into lifelong memories. Tempting appetizers, savory main courses, delicious sides, golden breads and impressive desserts offer everything you need to create a stunning holiday spread. Six complete Christmas dinner menus range from formal and elegant to cozy and intimate, and a chapter devoted to party planning is your guide to turning your home into a hub of holiday cheer. Buttery cookies made for sharing, sweet candies and confections, even delightful food gifts perfect for teachers, neighbors and anyone on your Christmas list—they’re all here.